Hostess cupcakes, Mrs. Fields cookies, Wheat Thins – all of them are classic snacks. And everyone knows those brands, because their recipes are so well-known and loved that it seems like they have some sort of magic in their recipe that keeps you buying. 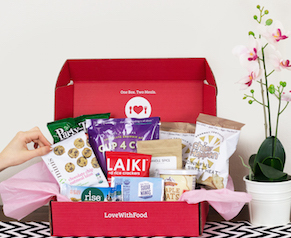 Well guess what – you don’t have to be a slave to the grocery stores anymore, because humanity has risen to the challenge of crafting recipes that mimic those snacks we know and love. Here are just 7 of the best copycat recipes for classic snacks. What were you saying? I wasn’t paying attention. How do you get the cream inside? Use a cake tip. Brilliant. The classic kids’ snack. Only needs two ingredients. The real magic comes with a loooooooong time drying. Even better than the ones out of a bag. This recipe also includes an awesome DIY fish cookie cutter out of aluminum foil! Never feel the guilt of turning down those sweet little girls again. And this recipe chills the peanut butter into balls to make getting it onto those cookies easy as pie. Just as addictive as the name brand. Possibly better, because this stuff has white cheddar powder. Boom. Yes please. Be sure to add the peanuts fast, because the chocolate hardens super quick. Milk’s favorite cookie, straight from your own kitchen. You’re gonna be tempted to chow down on them as soon as they’re made, but be patient and let them chill. You’ll be glad you did. What are your favorite copycat recipes? What copycat recipe would you like to try? Tell us in the comments below! 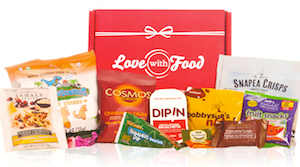 And remember, you might just discover your new favorite snack through a Love With Food box!